Discussion in 'Android News' started by DroidModderX, Oct 20, 2015. Here is a deal that you probably should not pass up. With Quick Charge 3.0 just around the corner (actually being featured in the HTC One A9) companies are trying to get rid of their QC 2.0 stock! This means huge savings for you. 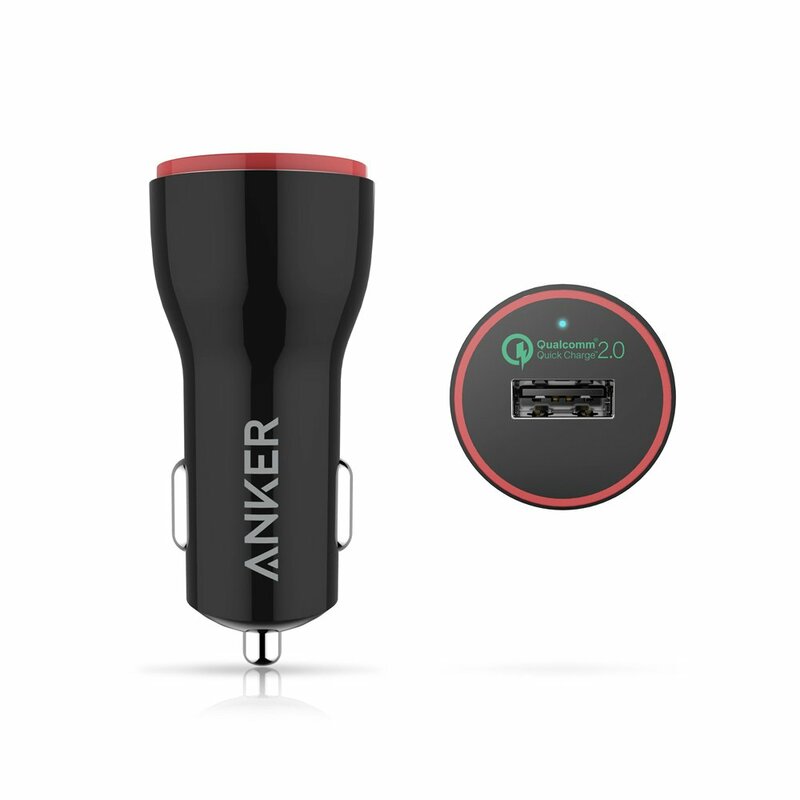 Anker has a super sale on their PowerDrive+ 1 Quick Charge 2.0 24W Car Charger. This is compatible with any device supporting QC 2.0 by Qualcomm. Devices include Galaxy S6, S6 Edge, Note 5, S6 Edge Plus, Note 4, Note Edge, One M9, Nexus 6, Xperia Z3, LG G4, and more. Grab this awesome deal from the link below. Just Ordered 1 from Amazon. Cost me nothing since I had a credit and Free S/H. Thanks! Samsung Galaxy Note 8 on AT&T. Just ordered one. It came to $5.99 with free shipping. I also used my amazon credits so cost me nothing out of pocket. Great deal. Thanks for the tip. Thanks @DroidModderX for the info. I just ordered mine. Dang it man I ordered an aukey one the other day when I saw the deal for the wall charger. OH WELL!